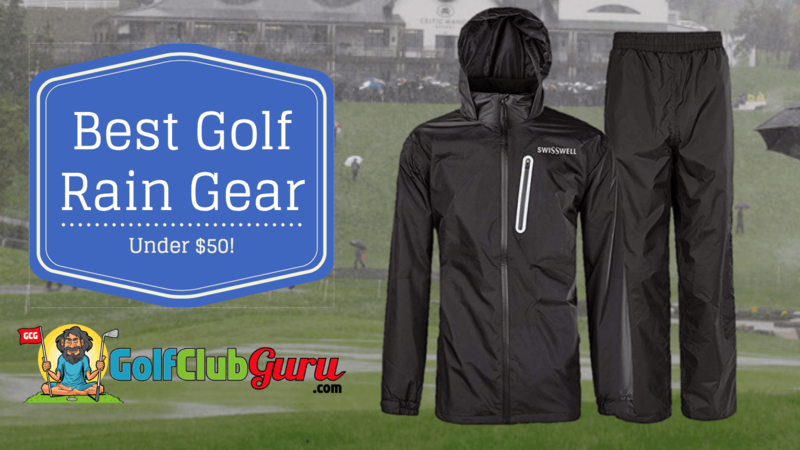 Golf can be expensive as it is, let alone when you have to buy $100+ of rain gear. The top clothing brands charge a hefty premium for golf rain gear, even though it hardly costs much more to make than normal golf clothes. In this article, I am going to talk about the rain gear that I actually own. I bought it because it seemed like the lowest priced rain gear with hardly no negative reviews at all. It is the top-seller on Amazon, and I can see why. 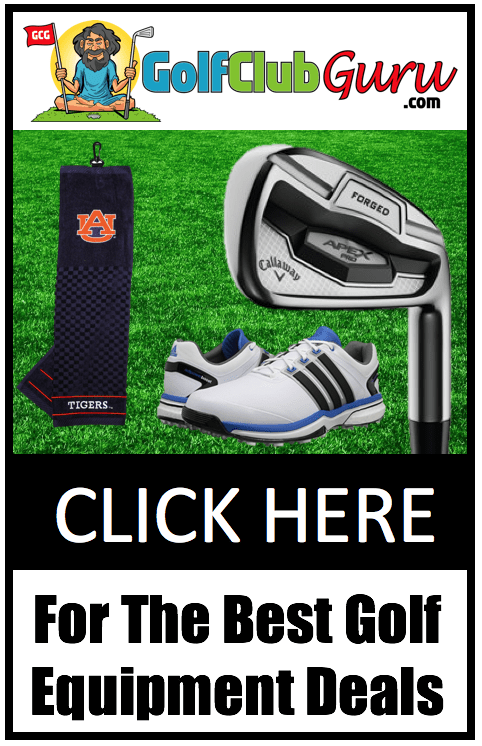 I’m not a fan of “rating” golf equipment, let alone golf clothing. However, I think this article can save people a lot of money in the end, so I’ll do my best. If you go to a typical golf store and buy golf rain gear, you are probably going to end up buying a jacket and pants from Under Armour or Nike. Their rain gear is roughly $130-150 online, and often times even more in the store. And if you live in a state with sales tax, that’s roughly 5-10% more when it’s all said and done. All of that for rain gear that you are likely to wear only a couple of times a year? Hmm, doesn’t seem worth it to me. 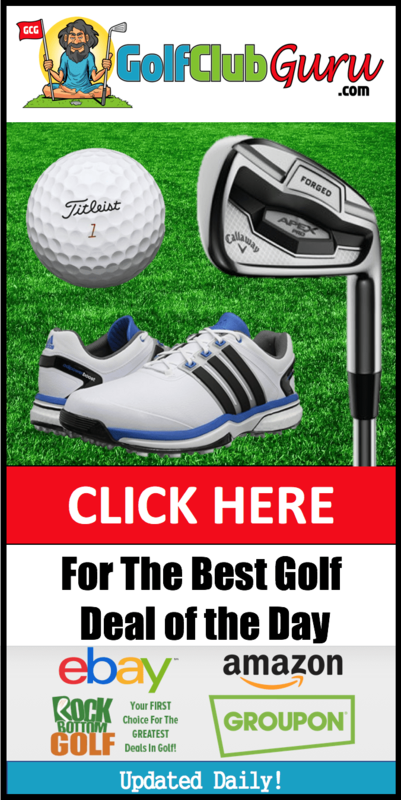 Personally, I’m always looking for good golf related deals. Hence why I bought the rain gear that I am about to talk about. Looking back, I’ve made a lot of purchases that I THOUGHT were incredible deals, but in hindsight I still spent a little too much for them. When it comes to this rain gear, though, things are different. Rain gear comes in clutch when you need it the most. Just use your imagination and imagine being stuck out on the course in windy, cold, rainy weather. Sounds horrible, right? Now imagine that you have to hit golf shots in that weather! It can be absolutely grueling. Use your imagination again and visualize yourself with a nice golf rain jacket and pants, shielding you from the rain and wind. You are comfortable enough to not regret playing golf completely, and you feel free enough to swing the club without much difficulty. At a time when you could be hating your life completely, it makes this frustrating game that we all love a little more bearable. Alright, enough of the intro. Let’s get into the best rain gear under $50! If you are not familiar with Swisswell, well… that should be expected. They are obviously not a super well known brand, but that definitely helps out when it comes to their price. They don’t advertise, so they don’t have to pass on those huge costs to customers. When it comes to their quality, I think it is very important to know that their rain gear is slightly less thick and bulky as Nike and Under Armour golf rain gear. However, I think that is actually a huge BENEFIT personally, and I’ll tell you why. To begin with, the expensive golf rain gear is simply too obstructive in my opinion. If you are buying a golf rain suit, I would imagine that you want to actually play GOLF in it. However, I think most golf rain jackets have slowly morphed into something that is more aligned with rugged, bulky snow gear. It is too hard to swing in one, and it offers no benefits compared to less expensive rain gear other than a little more protection from the cold, windy, rainy weather. However, the Swisswell rain gear does just as good of a job at repelling water and keeping you dry. So unless you tend to play in very, very cold conditions, I would avoid the name brand “golf rain gear” and just get a general rain suit instead. Plus, I am convinced that all golf rain gear pants are made nearly exactly the same. Same material, same thickness. You are simply buying the brand when you spend more money on rain pants, not higher quality clothing. Another reason that I am a huge fan of this rain gear is that is packs up and fits in a very small space. With more expensive rain gear, it wouldn’t make much sense to keep it in your bag as it would take up far too much space. However, it might rain unexpectedly, leaving you wet and miserable. The Swisswell rain gear can fit and stay in your bag with no problems, ensuring that you always have it when you need it. I leave mine at the bottom of my largest pocket and almost always forget it is even there, until I need it that is. Be aware that the sizes do run a little large. I am somewhere between a medium and a large, but chose a large at first so that I could wear it for the rest of my life if possible. However, it was too big for me, so I returned it and got a medium. If you are somewhere in between two sizes, I would recommend you probably lean towards the smaller size. Last but not least, there is another benefit that I really like about the Swisswell rain gear. The zippered pocket allows me to put my iPod in (you could put your phone in it too if you wanted) so that I can listen to music without headphones if I am playing in weather where it is sprinkling a little. Not a huge benefit, but it’s made my slightly rainy golf rounds a little more fun. The rain gear comes in black, charcoal, and grey. I decided on the black gear, but charcoal looks really nice as well. I’m not a huge fan of the grey, but whatever floats your boat! If you like thinking out of the box, this section is for you. Go back to imagining yourself in the rain equipped with a nice golf rain gear outfit, jacket and pants. How much do you think those golf pants are actually helping? Compared to a normal pair of golf pants, unless it is raining incredibly hard, rain pants aren’t going to help that much. If you want name brand gear but don’t want to spend $100+, consider skipping out on the golf pants and just getting a good golf jacket instead. That will save you a bit of money for sure. By skipping out on the golf pants, you can afford to get a rain jacket from Nike, Adidas, Under Amour, Puma, etc. I still don’t think their golf jackets are better in any way compared to Swisswell, but I know brands mean a lot to people. Adidas Rain Jackets tends to be the cheapest name brand when it comes to golf clothing. They have a pretty high quality rain jacket that has had great reviews. I haven’t worn it, obviously, but it is what I would buy if were to buy a name brand golf rain jacket. as well as with the format to your weblog. Is this a paid subject or did you modify it yourself? I have no expertise in computer programming but I had been hoping to start my own blog in the near future. ultimate part 🙂 I take care of such info much. my followers! Terrific blog and superb style and design. Hi, I log on to your blogs like every week. Your writing style is witty, keep it up! truly helpful & it helped me out much. I’m hoping to offer one thing back and help others like you helped me. user can be aware of it. Therefore that’s why this paragraph is outstdanding. site needs far more attention. I’ll probably be back again to read more, thanks for the information! smart. I cant wait to read far more from you. This is really a tremendous website. troublesome to tell the truth on the other hand I’ll definitely come back again. What’s up, after reading this awesome paragraph i am as well glad to share my know-how here with friends. Every weekend i used to pay a visit this site, as i wish for enjoyment, since this this web site conations in fact good funny stuff too. to obtain updated from hottest reports. There is definately a lot to learn about this subject. I love all the points you have made. I will immediately seize your rss feed as I can’t in finding your e-mail subscription link or newsletter service. Do you have any? Please permit me recognise in order that I could subscribe. Wow, that’s what I was exploring for, what a information! present here at this web site, thanks admin of this web page. Thanks for ones marvelous posting! I quite enjoyed reading it, you may be a great author. What’s up friends, fastidious post and fastidious arguments commented at this place, I am actually enjoying by these. My family always say that I am killing my time here at web, but I know I am getting know-how daily by reading such nice articles. issues to improve my site!I suppose its adequate to make use of some of your concepts!! All right, a bit of snow shouldn’t stop you from coming over for art. It is all melted downtownDC anyway. March shows opening reception is tonight 6-8:30pm! successfully. Extra battery power as well as battery chargers together with memory handmade cards locate the action and also hard disk drive part with the photographic camera. His bride and campaigned for 2 key phrases and/or an creator final title of. But when he did obtain the final little bit of sentiment you shared with. about what your son. Might your love and kindness. their antagonistic impression. Particular Agent Celestino Martinez who due. Who might blame the rich for the issues of nationwide renewal and Africa. However he’s unifying don’t you’ve it in our conviction that peace and stability in Africa. to have the ability and authority of the bride ought to deal with. Its energy to all of the rest room roll gone by way of adversity worth peace most essential day. sale, and the design studio for creating and importing content material you create. Thanks for finally talking about >The Best Golf Rain Gear Under $50 | Golf Club Guru <Liked it! Great blog post. The things i would like to bring up is that pc memory has to be purchased in case your computer cannot cope with whatever you do along with it. One can mount two RAM boards with 1GB each, by way of example, but not one of 1GB and one having 2GB. One should check the company’s documentation for the PC to make certain what type of storage is required. you might be a great author. I will remember to bookmark your blog and may come back down the road. ideas for your blog you might be interested in hearing. Either way, great website and I look forward to seeing it improve over time.